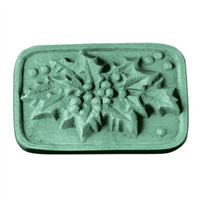 Use the Holly Leaf Mini Mold to create 12 leaf shaped embellishments for your holiday inspired soaps! These soaps are perfect on top of Christmas soap cupcakes. 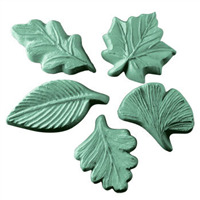 Leaf: 2" x 1.125" x 0.125"
COMMENTS: Works well, as do all of the LOP molds. Looks more like a red oak than a white oak, BUT would be great as a holly leaf!